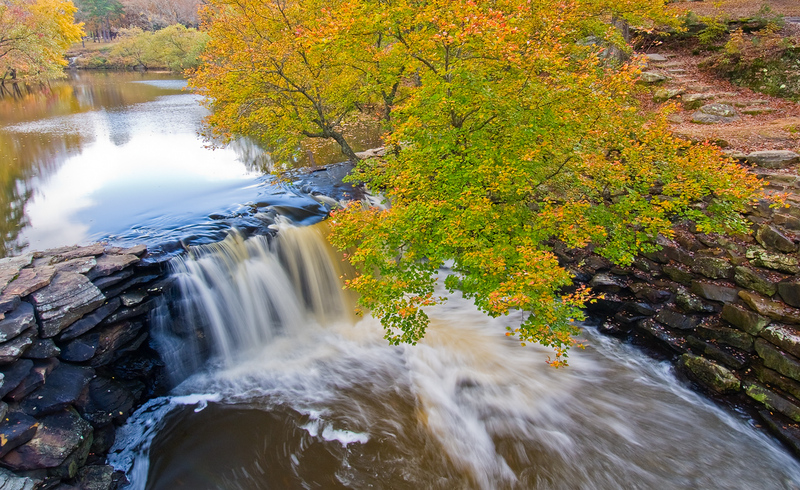 An autumn view of the lake and waterfall above Davies Bridge, Petit Jean State Park, Arkansas. Arkansas Nature Photography. Photo © copyright by William Dark.